Going offline while using an application may be necessary when an insufficient data signal is available. Alternatively, going offline can be a choice (like airplane mode) for several purposes, such as saving bandwidth. Fortunately, using Atlas, this has never been easier. 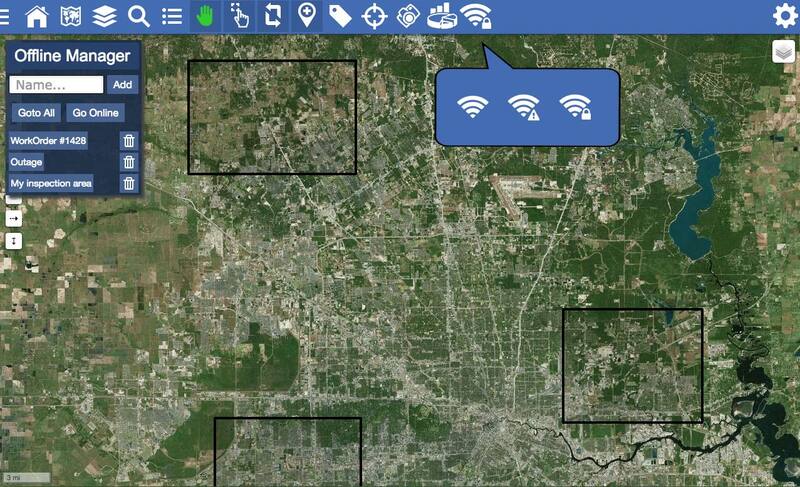 Atlas will detect when there is no coverage and automatically switch to offline mode. During this time it will frequently check for a signal and switch back to online once a signal is detected. The user can also manually switch Atlas into offline mode. The various modes are shown in different icons. While offline, you will need data on the local device. Simply go to areas on the map that you want available offline and add them to the list. This is very similar to bookmarks. Atlas will do the rest. Rectangles on the map show the available offline areas.